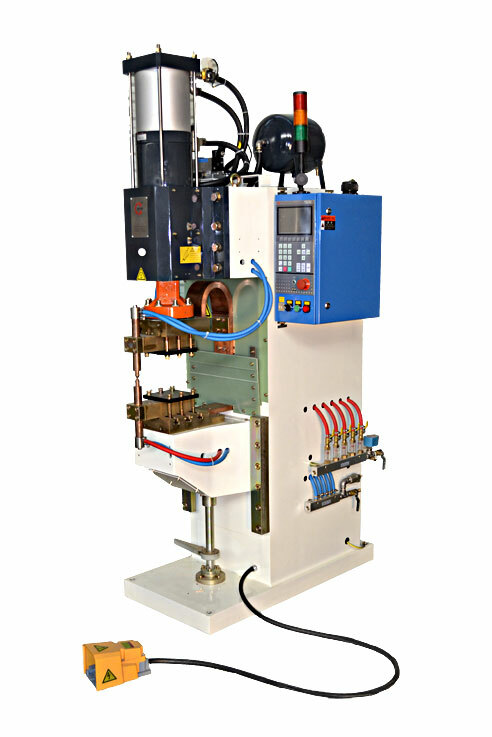 Machine has a custom servo driven table, with PLC. 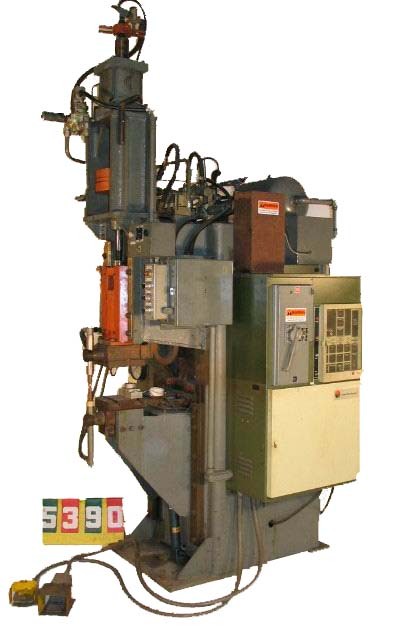 Shown prior to Refurbish Process. 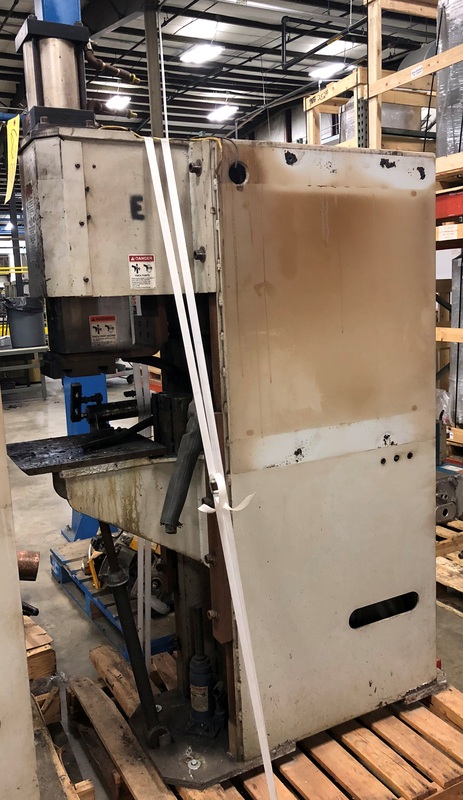 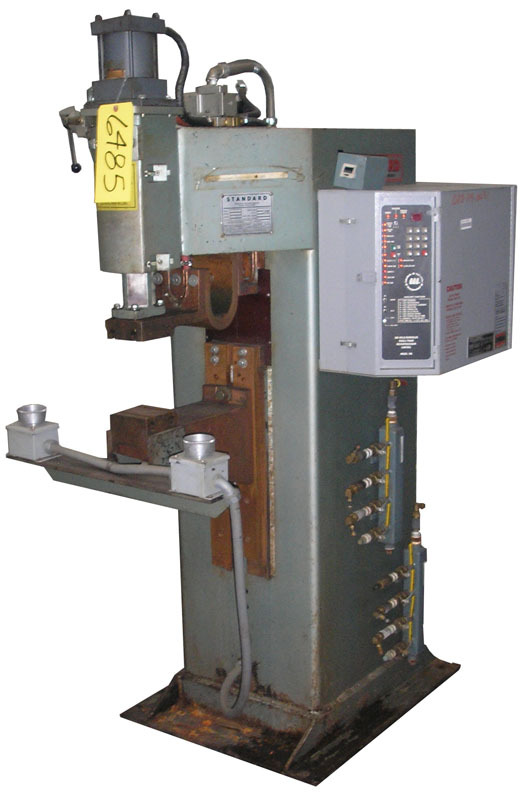 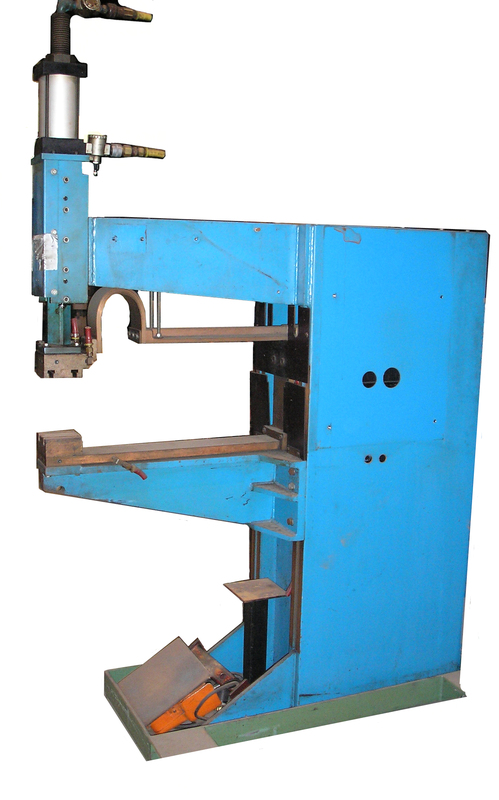 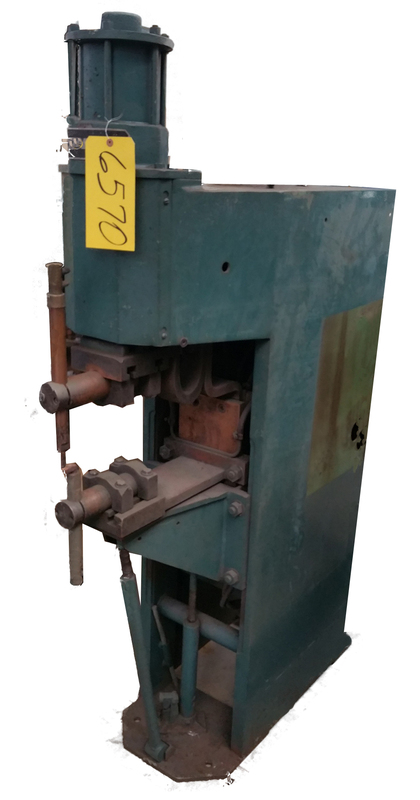 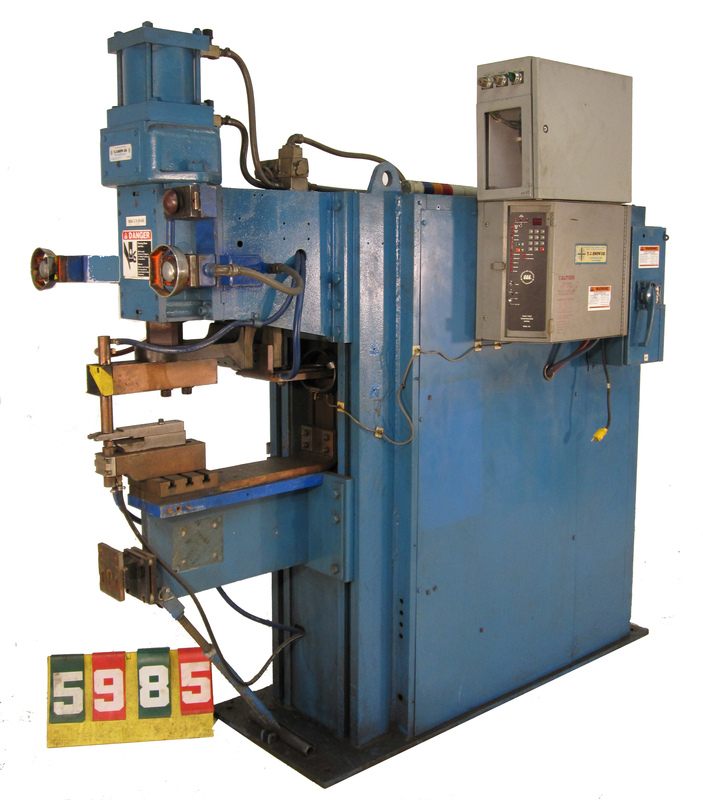 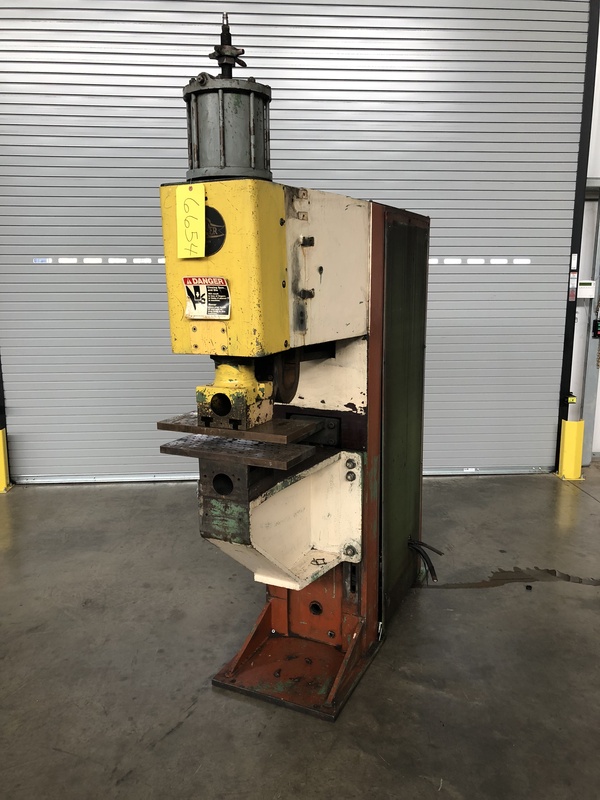 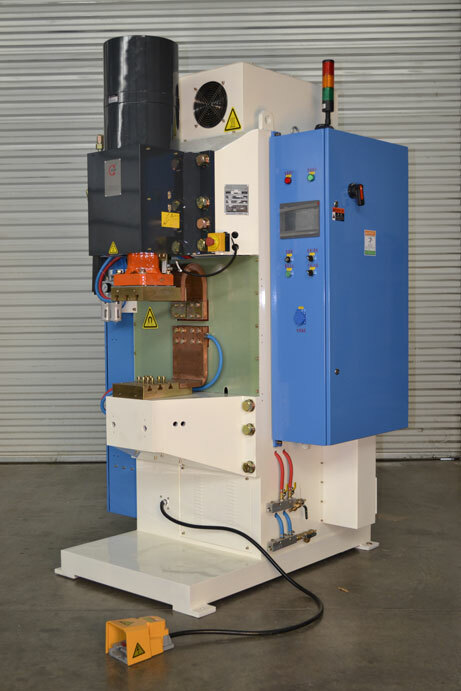 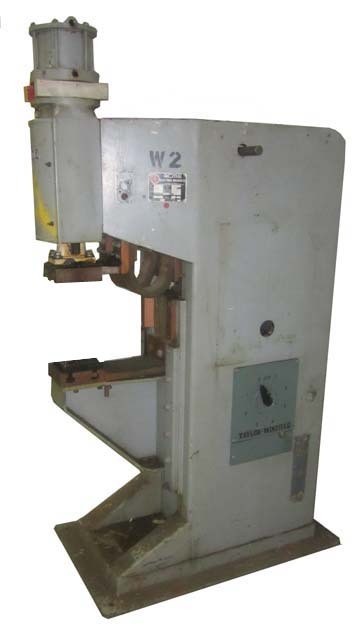 100 KVA, 220/440 Volt, 12"
Flat copper secondaries can be equipped with "T" slotted platens for mounting tooling fixtures or square arms with electrode holders for spot welding. 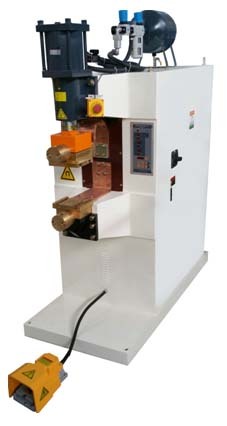 125 KVA, 440 Volt, 12"
The SCIAKY Heavy Duty 3-Phase Type Projection Welder is ideal for projection welding nuts & studs. 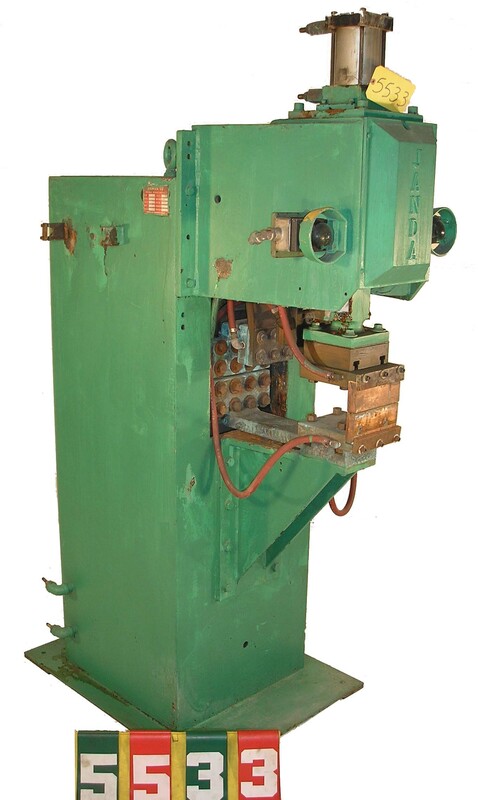 It comes equipped with a three phase frequency converter, heavy duty stacked core machine-type water cooled welding transformer. 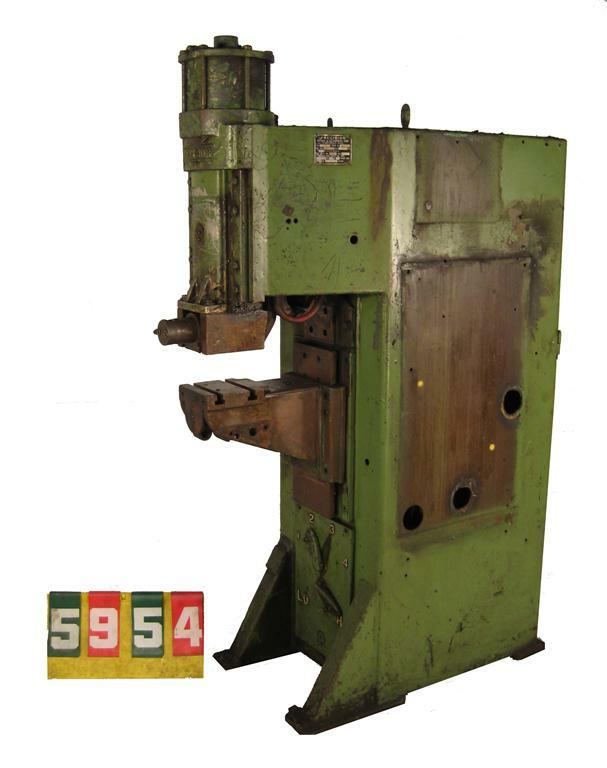 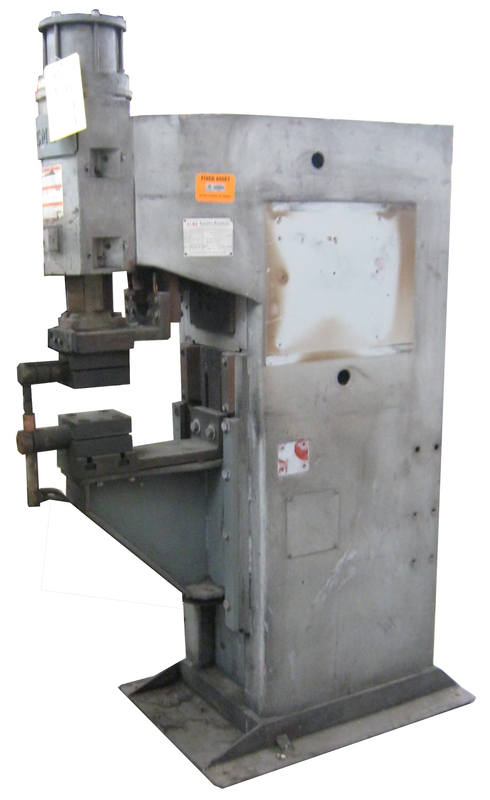 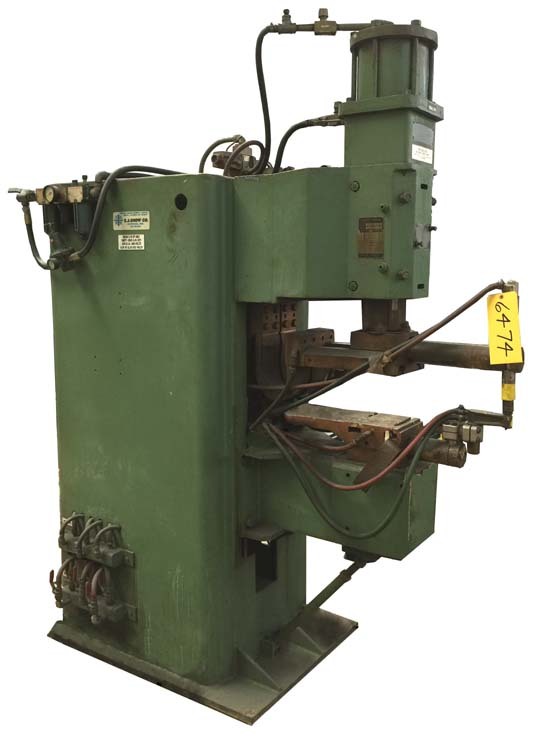 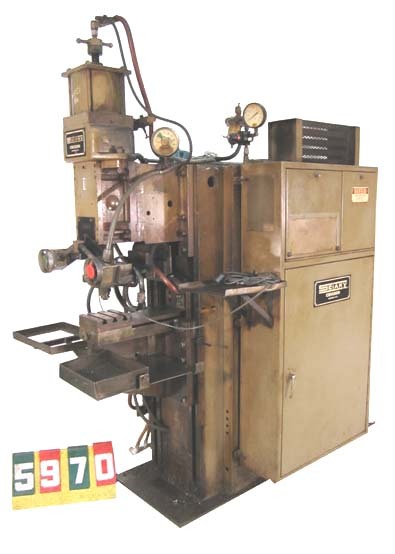 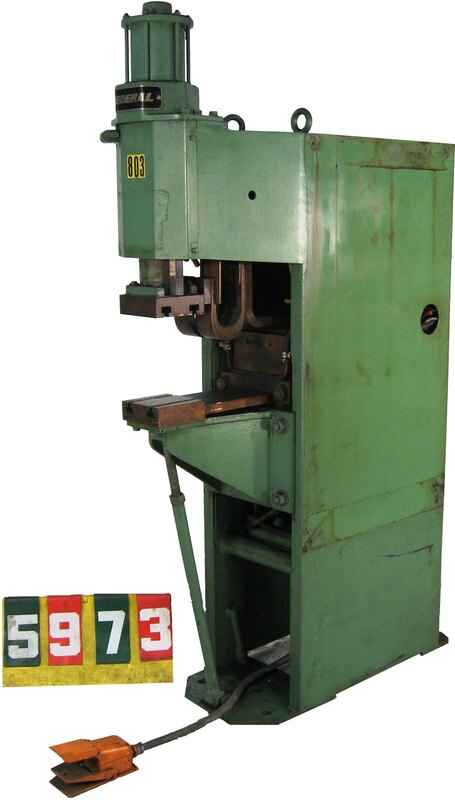 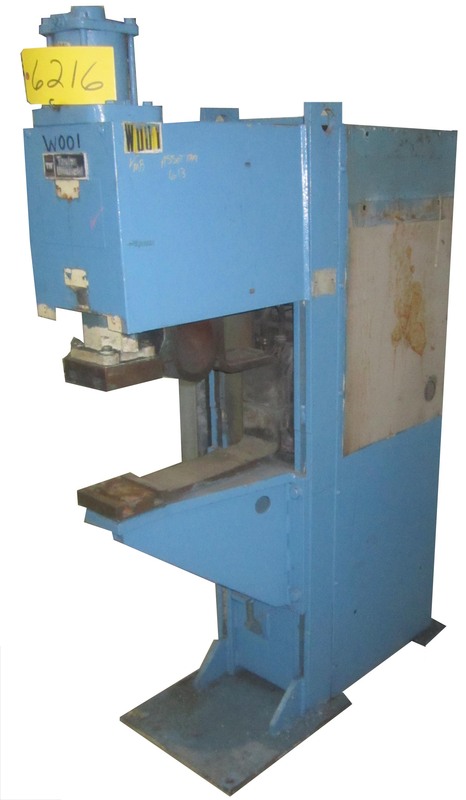 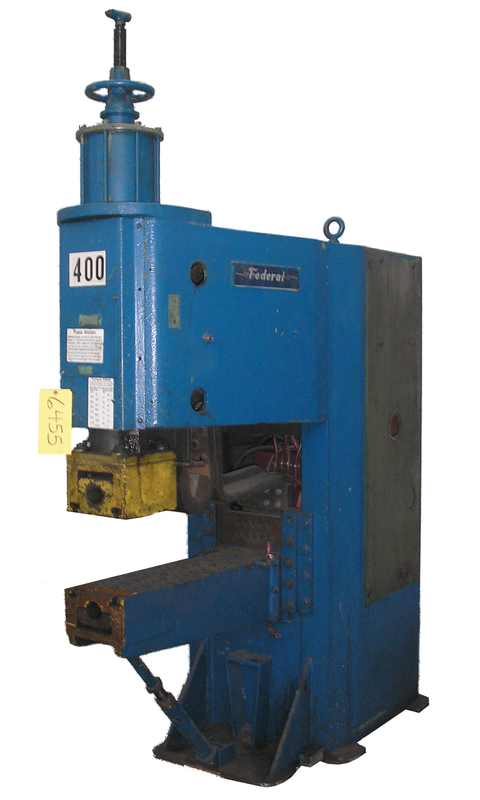 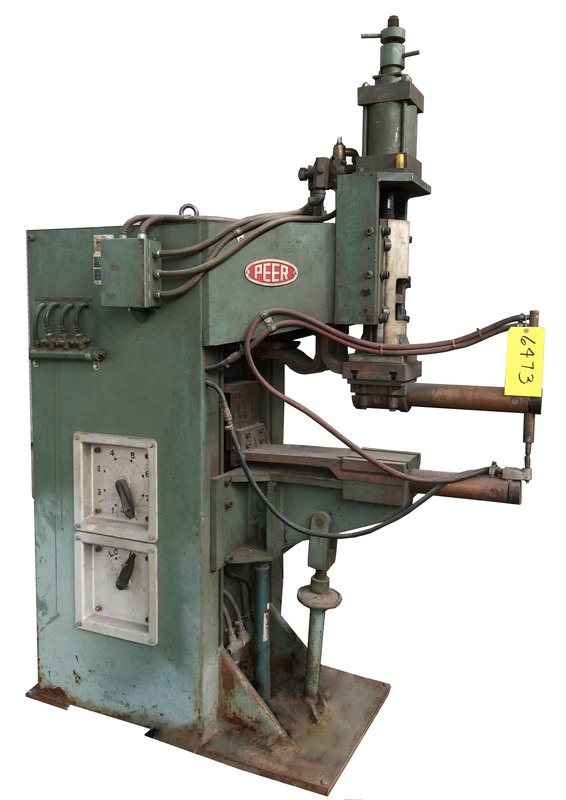 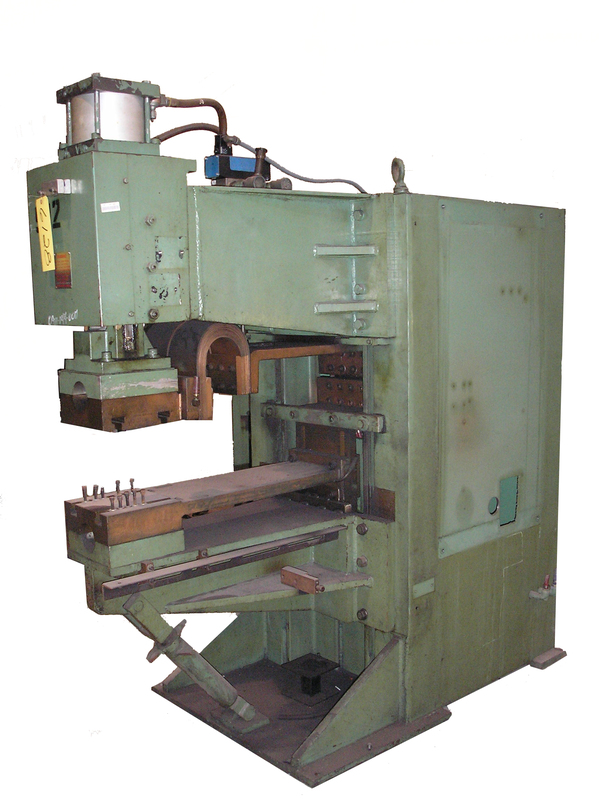 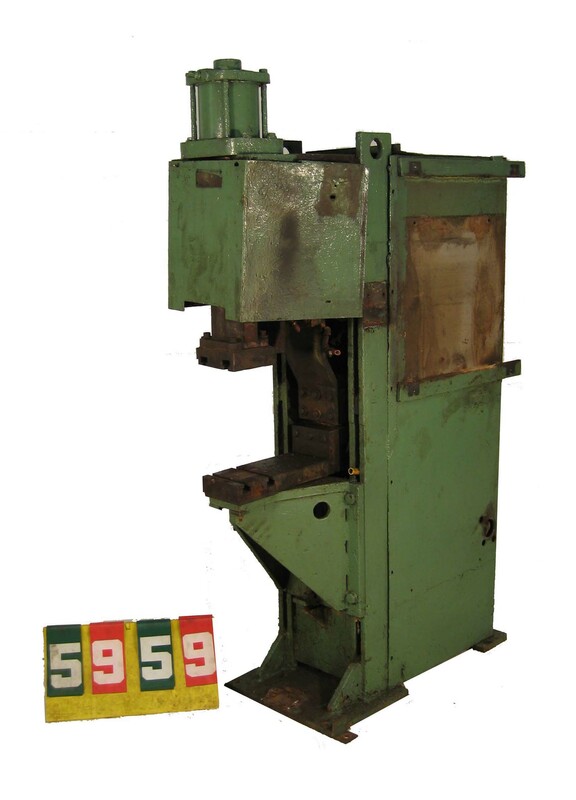 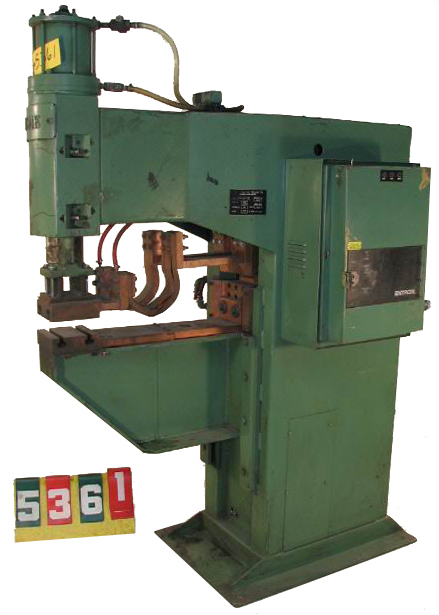 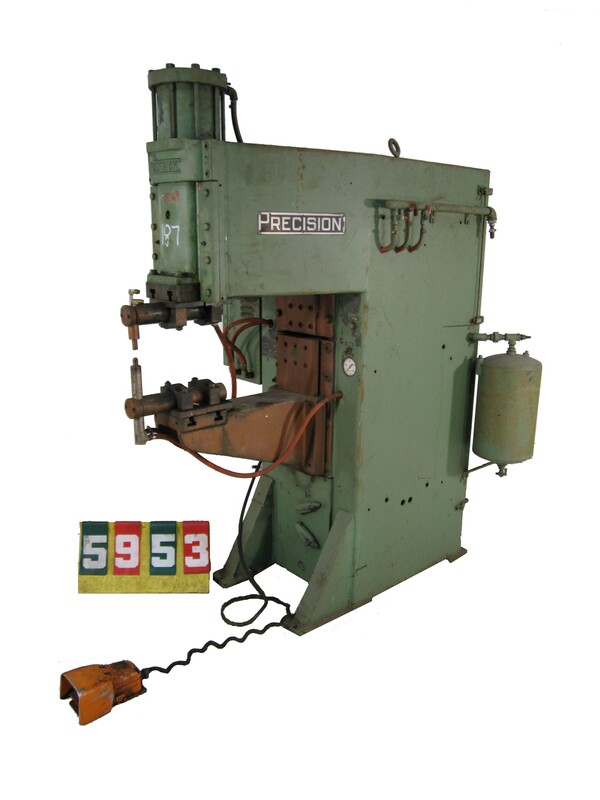 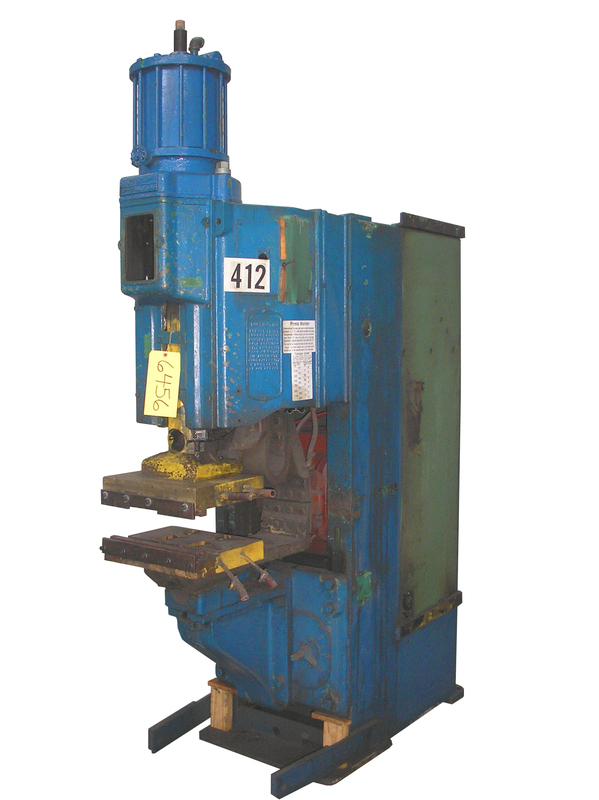 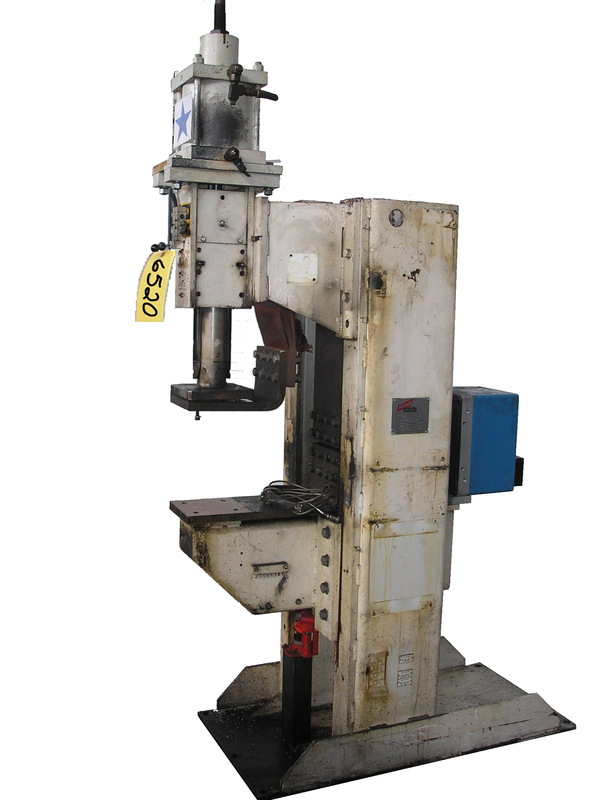 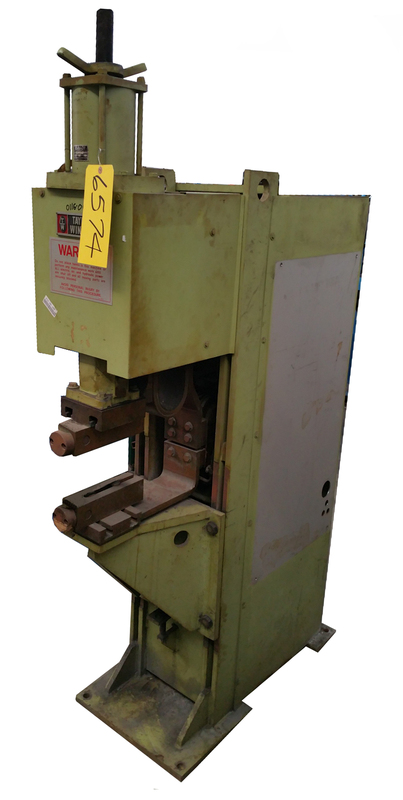 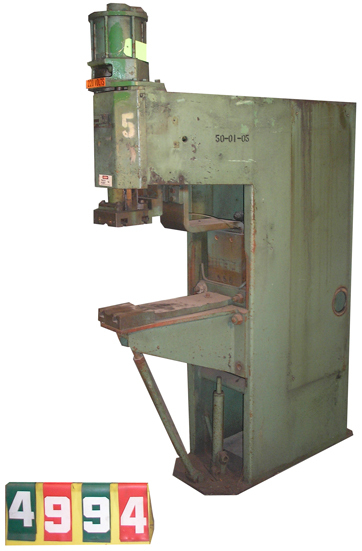 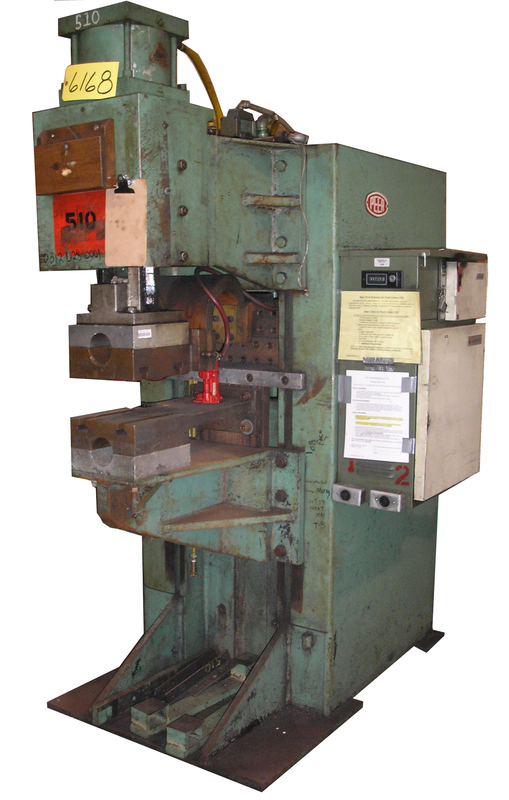 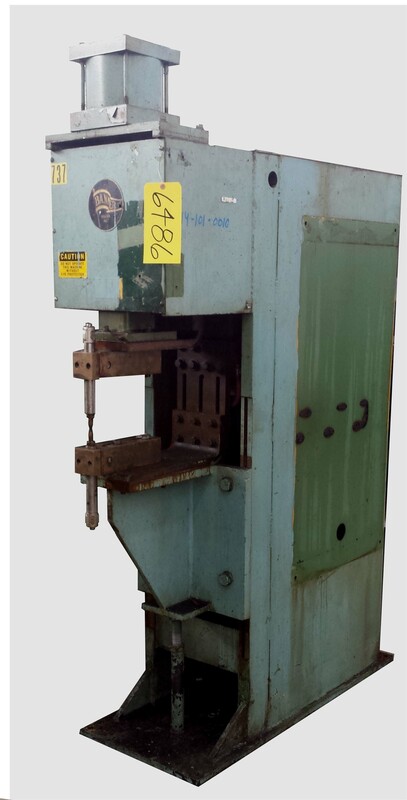 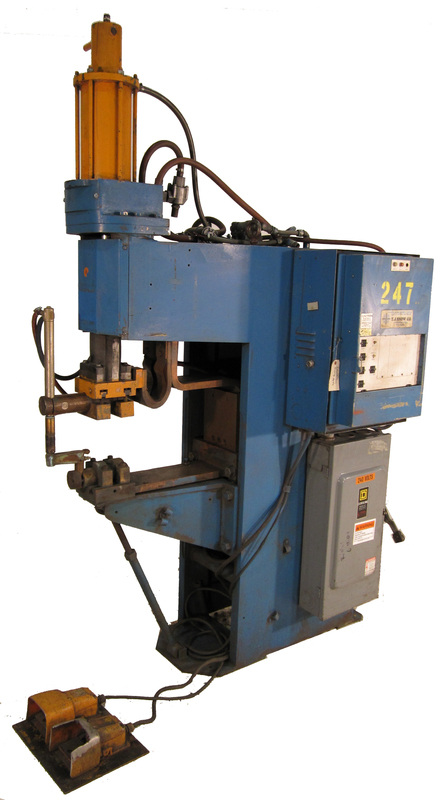 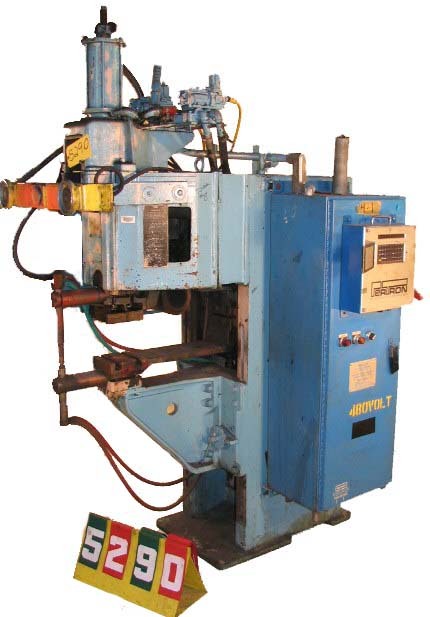 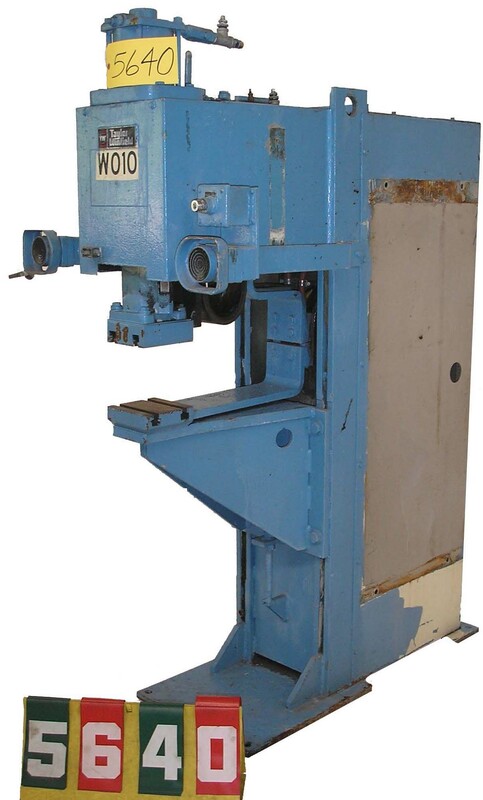 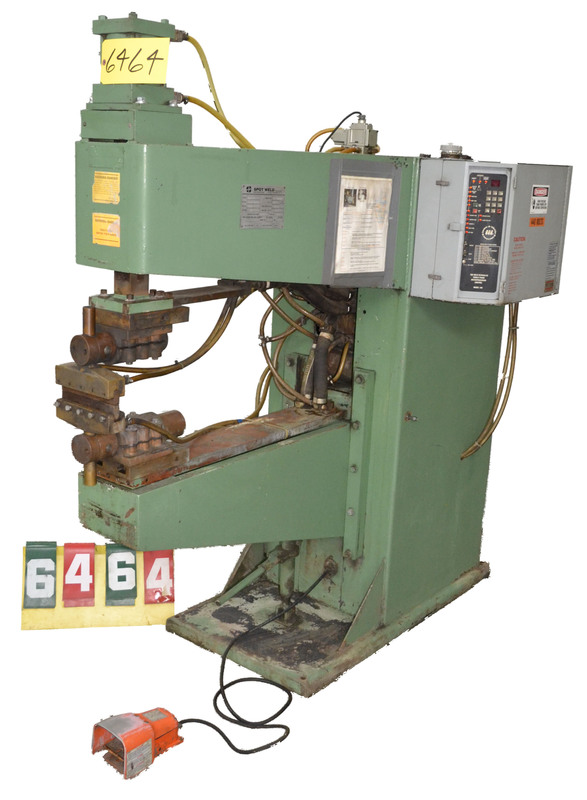 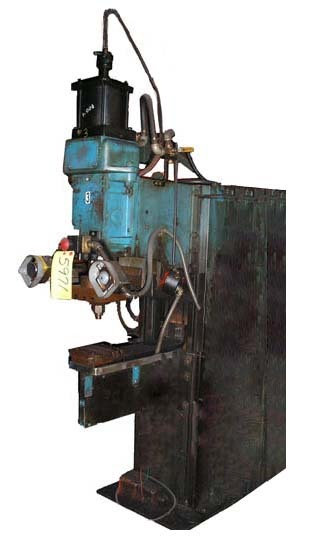 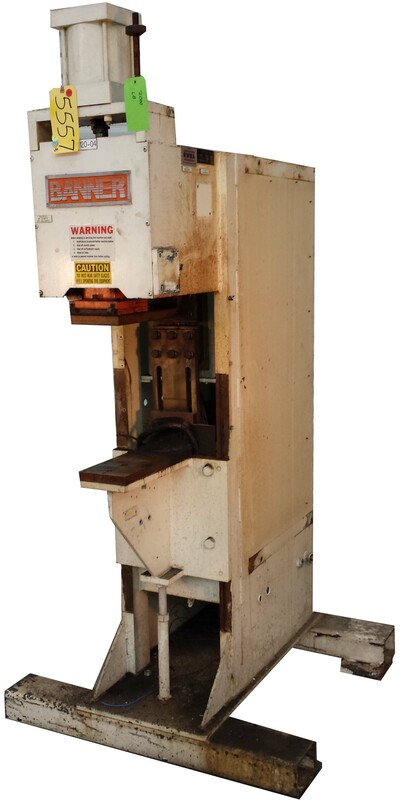 Note: Some photos show may show custom tooling which has been removed and is no longer associated with this machine. 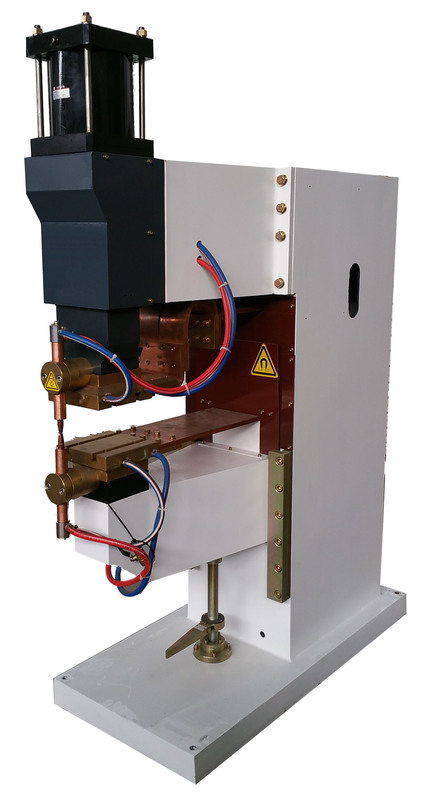 9" adjustable & retractable air cylinder, 30" throat depth as a Projection Welder. 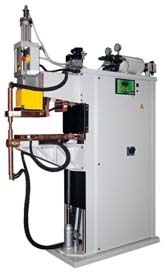 Ideal welder for a wire fabricator! 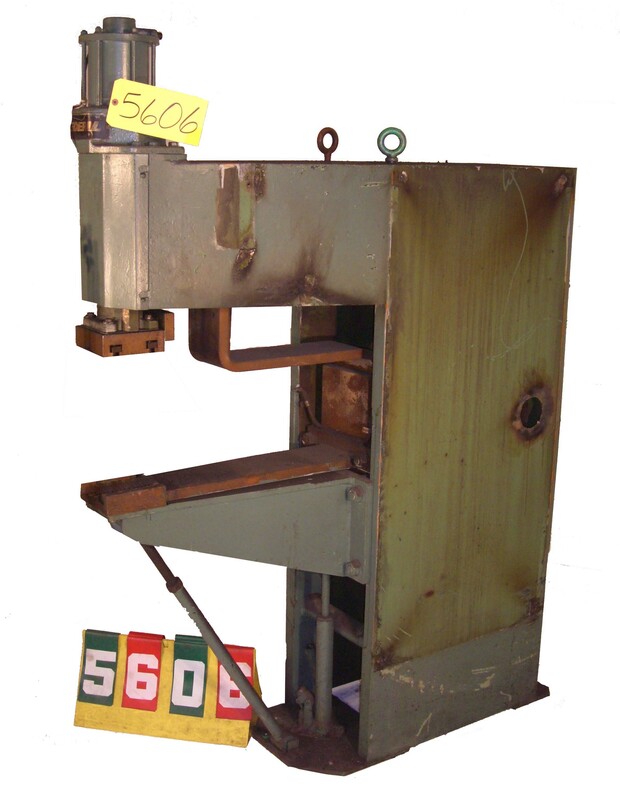 Non-Stock, but available for order. 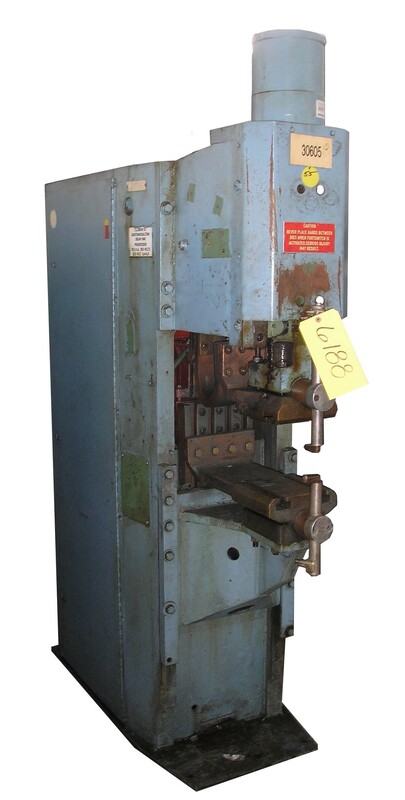 Non-Stock but can be ordered.